30% off for first month! Deal includes a gi (uniform), orientation session and unlimited attendance to Advanced Kenpo group classes and kickboxing classes. To request more information or to schedule your orientation session, use Contact Us (right margin of this page). 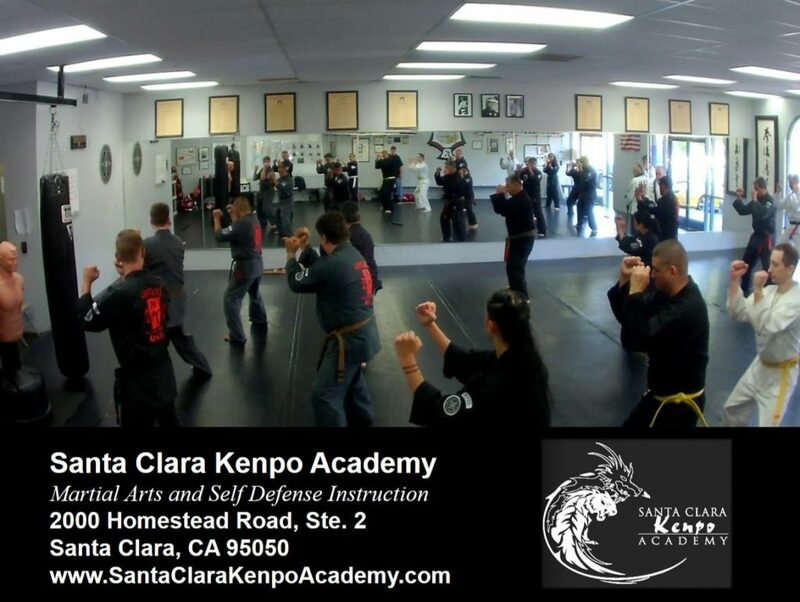 For class schedules, click here: Schedule For Martial Arts Classes. Kenpo karate blends circular movements like those found in Kung Fu and linear movements typical of Japanese martial arts systems. Skilled Kenpo Black Belts are marked by their ability to fire off powerful techniques with blinding speed, hitting multiple targets within seconds. Where some Arts may emphasize hands or feet, Kenpo utilizes and blends both for devastating effectiveness in a minimum amount of time. Kenpo employs a wide variety of blocks, strikes, kicks, punches and mental awareness exercises against an attacker. Advanced Kenpo consists of 154 unique self-defense techniques, plus forms and sets that provide a baseline for developing natural responses to attacks. Kickboxing is a great sport that teaches maneuvers and techniques while at the same time conditioning the body and engaging the mind. Working with focus mitts, heavy bags and having friendly sparring with others challenges students on how to harness their skill and power. Our kickboxing class is based on Muay Thai style and is open to students age 16 and above.